Ruth Makhosi Luthuli is a 46-year old qualified soccer coach from KwaZulu-Natal. She first hit the headlines as a fierce Banyana Banyana midfielder - nicknamed “Troublemaker”, representing SA in three Africa Cup of Nations. Ruth noticed a swelling on the left side of her face and went to her local clinic for a check-up. She was told it was probably an abscess in her upper jaw, she was prescribed antibiotics and sent home. She went to three different hospitals for a diagnosis and treatment and received chemo therapy at the state hospital - however, it’s known that this kind of cancerous tumour does not respond to chemo. On 18 July 2018 - Mandela Day - Dr Frits Hoogendijk headed a team of Operation Healing Hands health professionals who operated on Ruth. The surgery was a huge success, however her road to recovery had only begun. The cancer had eaten away Ruth’s upper jaw, left cheek bone and pallet. The left side of her face collapsed, leaving a hole in her face. 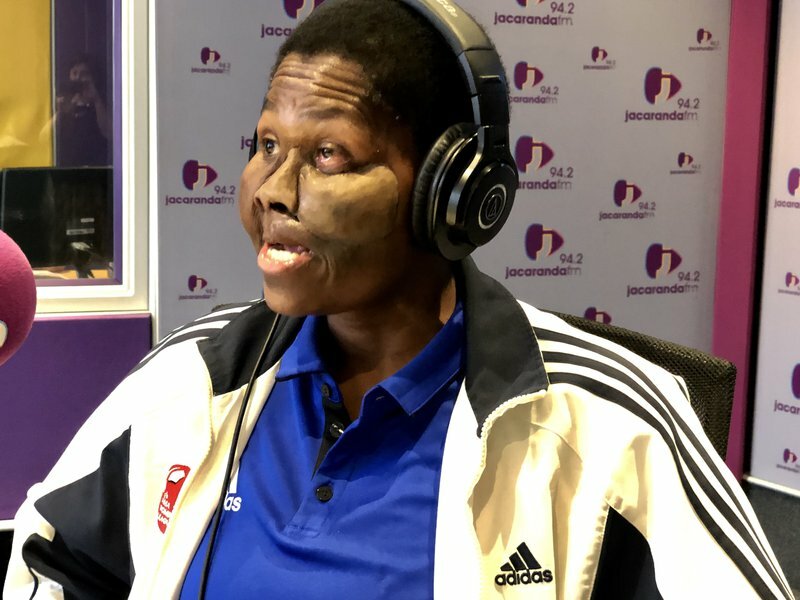 Over the past two weeks, Operation Healing Hands partner, Dura Art Dental Lab in Pretoria, rebuilt Ruth’s face with an implanted a new prosthetic upper jaw and facial prosthesis. For the first time in seven years, Ruth can breathe, eat and speak again! A special thank you to lekkerslaap.co.za for providing Ruth’s accommodation during this process!